The Columbia Alumni Association (CAA) is hosting a special 10th-anniversary reception at the famed Art Basel Miami Beach in December. Read all about it in this week's roundup. In this day and age, social networking has transformed how we share information. Alumna Debra Feldman '74PH weighed in on The Low Down this week about how to manage your digital presence. At Columbia Alumni Leaders Weekend, held annually at the University in October, Adam Vane '01TC, managing partner at Paragon Global Consulting, shared with alumni his expertise surrounding leadership skills for every day. Didn't attend CALW? The Low Down has an exclusive video of Vane's talk. Watch it here. 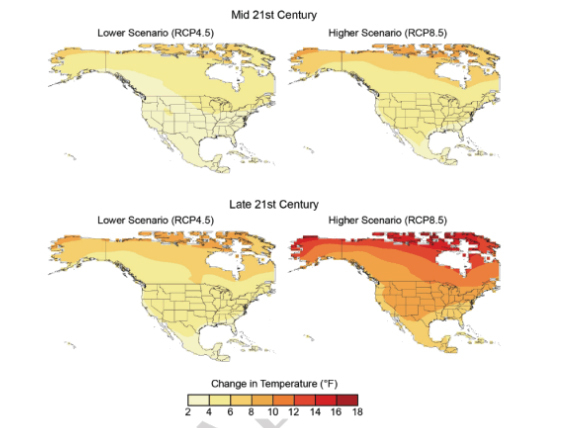 Columbia scientists have co-authored a national climate report. This week, Earth Institute published a Q&A with the authors. For families who lose an active-duty military service member, adapting to their loss often can be especially challenging. Grief experts at Columbia's School of Social Work are working with the Defense Department on an app to help those families cope. This week, an exciting month of Columbia Connects events—where Columbians across the globe celebrated their shared alumni connection—wrapped up with a jam-packed day of events in New York City. On November 9, alumni appeared on the TODAY Show after securing a prime spot on Rockefeller Center plaza, heard a valuable climate lecture by Prof. Richard Seager '90GSAS, got an exclusive tour of the state-of-the-art Mary & Michael Jaharis Simulation Center at Columbia Med's Vagelos Education Center, and enjoyed delicious BBQ and drinks at a reception in Brooklyn—not to mention took advantage exclusive Columbia perks and discounts throughout the city. View a few photos below and learn more about Connects here.